I LOVE how this lo came out! I paper piecing & punch art to create the boy holding his bottle. Journaling is "Summer's Baby Bottles" which I colored in using Microsoft Paint (it was a pain in the neck). Put 1" squares of red & blue gingham around layout to create border. 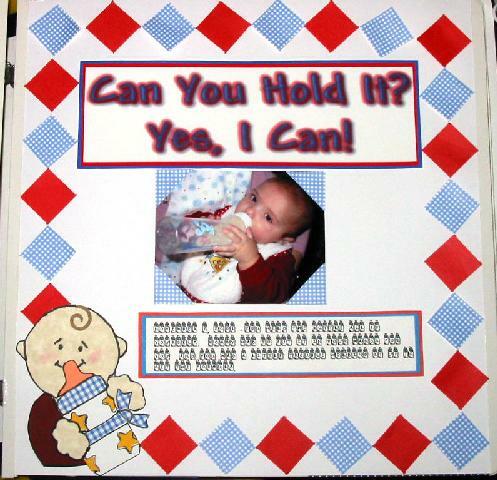 Page topper was created using Microsoft Paint (font is Andy, added a shadow around words and highlighted the edges in red). Thanks for looking!